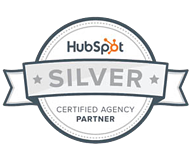 We've compiled some new HubSpot marketing tips, tools and tricks we've learned from our HubSpot channel consultant, at #INBOUND17 and through our daily use of the software as a HubSpot Certified Agency Partner. 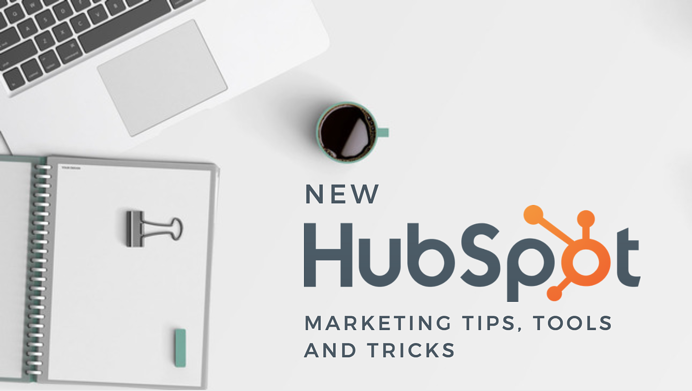 If you have a HubSpot account and aren't using these features, you are missing out. We hope this blog can advise you on some quick tips to make the most out of your HubSpot account. Are you using Facebook's lead ads as part of your inbound marketing strategy? Facebook lead ads are great tools to gather the most precise customer reported information. When someone clicks on your Facebook lead ad, the form you use in the ad is automatically populated with the information that person has shared on Facebook. This means less work for your ad clickers to give you their name, email and other information, and more accurate data for you. If you are running lead ads on Facebook, you'll notice this HubSpot tool walks you through the same steps and options to set up your ad. All of your analytics are in HubSpot with more intuitive reports AND you have access to HubSpot Lead Ads retargeting tool. Track Your Facebook Ads in HubSpot. Now that you've created your Facebook Lead Ad using HubSpot, you don't have to tab back to Facebook to check your ad's status or analytics. Check the status of your ad while it is running and after it has completed in your HubSpot portal. Easily Manage Your New Contacts. Create smart contact lists in HubSpot specifically for your lead ad contacts and conversions. This will make it easier to nurture them. Now you can track Facebook Lead Ad leads from contacts to customers because they are logged in your HubSpot CRM. Track their website views and other actions in your system. Retarget Contacts and Leads. Using the HubSpot ads tool and your smart contact lists, you can (and should) retarget a specific audience of website visitors called "creating a re-marketing audience" using your Facebook pixel. It's not just about the tools, we're jazzed about new inbound marketing strategies, too. HubSpot has big news for your SEO and content marketing strategies with their latest marketing alliteration - Pillar Pages. Pillar Pages are top-level pages on your website that give a comprehensive overview of an entire topic. These Pillar Pages serve as the center of new things HubSpot is calling Topic Clusters. After you've established the in-depth foundation for a topic, link to other blog posts and resources throughout the page to create a cluster for that overarching topic. They can be loooong pages with a lot of content on them and at first, we felt like these were giving away the goods for free. No more forms gating your material, it's all out there and transparent for your visitors to see. Don't worry, HubSpot will guide you using their Content Strategy tool. HubSpot's Content Strategy tool helps you keep topic clusters self-contained. Pillar content should only link to other domains or specified cluster content in your domain for SEO strength. This way it is easier for Google to understand your content and help you rank for broad, competitive search terms. Using broader content, your pages will stay evergreen and can be optimized for the general questions your target audiences are searching for. The pages can (and should be) updated consistently and appropriately so Google will continue to index your Pillar Page and you will continue to add value to your visitors. How does this change your analytics? Now you will measure and track entire clusters, not individual posts and pages. If you have an account with HubSpot, you probably don't host all of your company files and images in the HubSpot file manager. Google Drive and Dropbox are two of the most used web-based file storing and sharing platforms. Most (if not all) of our clients use one or both, and quite frankly, so do we. With the HubSpot Google Drive integration and the HubSpot Dropbox integration, you can input graphics, files, videos and more from these sites directly into your website pages, landing pages, blog posts and CTAs! This may seem like a small update, but it will save your marketing manager loads of time and keep your HubSpot file manager clean. Music to our ears. HubSpot is enabling us to consolidate our communication and resources directly into your existing customer portal. Now, you log into Hubspot to access your CRM, send emails and review website and social media performance. Soon you can have conversations with us directly in the portal, complete onboarding for new projects or strategic planning sessions, join our loyalty programs, access our marketing knowledge center and provide feedback and reviews. Are you using your HubSpot portal to its fullest potential? Use our checklist as a self-assessment for your HubSpot portal or contact us for an audit and we'll point you towards some inbound marketing quick wins.